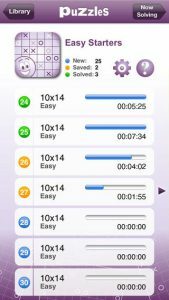 Conceptis Tic-Tac-Logic is an iPhone game developed by Conceptis Ltd. You might not have heard of Conceptis, but you’ve probably played one of their puzzles games on a mobile device or newspaper. Over 20 million Conceptis puzzles are solved every day, and it’s not hard to see why. 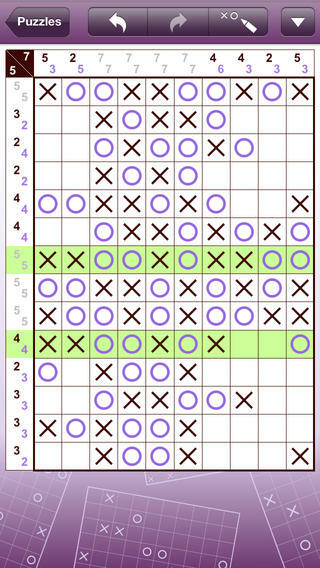 Regular readers might remember the Conceptis name from our recent review ofConceptis Pic-a-Pix. We gave it an 8 out of 10. Conceptis Tic-Tac-Logic is also quite similar to another game we reviewed recently, Takuzu. While Takuzu might have a slight edge over Conceptis Tic-Tac-Logic in terms of style and design, the two games play quite similarly. Conceptis Tic-Tac-Logic definitely has one advantage over Takuzu: it’s much more stable. Here’s how Conceptis Tic-Tac-Logic works. 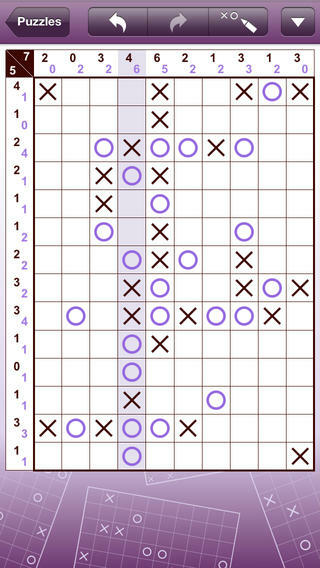 Basically, it’s a hybrid between traditional tic-tac-toe and Sudoku. The object is to place X or O in remaining squares so there are no more than two consecutive X’s or O’s in a row or a column. All rows and all columns need to be unique. 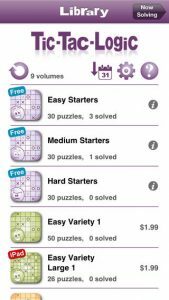 There are 90 free puzzles, plus 30 extra-large puzzles you can play if you opt to play the game on an iPad instead of an iPhone. There are multiple levels of difficulty, which keeps things interesting. As a bonus, the puzzle library continuously updates with new content. 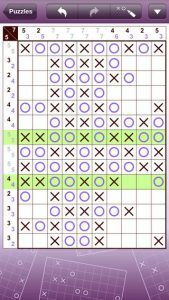 Overall, Conceptis Tic-Tac-Logic is a great game if you’re into “brain training.” This game builds strong mental problem solving skills. It also allows you to track your mental agility over time, because you can compare your past solve times. 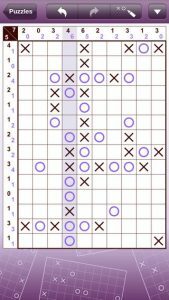 If you love sudoku, tic tac toe, puzzles, or strategy games, Conceptis Tic-Tac-Logic is a really enjoyable game with a great interface. 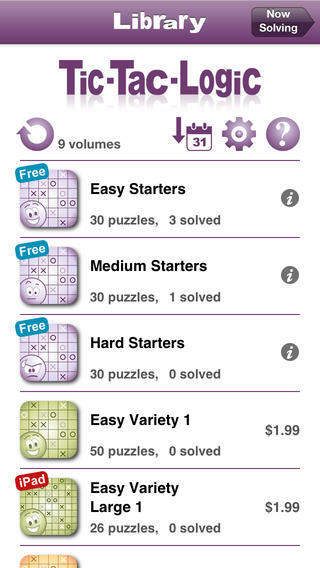 It’s simple to learn, but hard to master: the perfect puzzler, really. 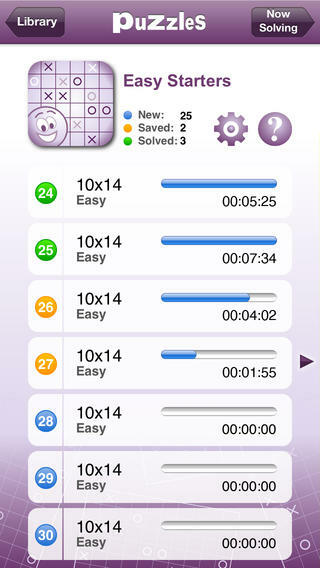 Conceptis Tic-Tac-Logicis compatible with iPhone, iPod touch, and iPad. Requires iOS 4.3 or later. This app is optimized for iPhone 5.